Bonnie Mae Tatum Bryan, 75, of Bladenboro passed away on Sunday, November 18, 2018. She was preceded in death by her parents: Harvey R. Tatum and Annie Bordeaux Tatum and one daughter: Pamela Denise Bryan. 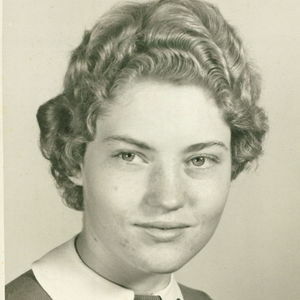 Bonnie is survived by her husband Willerdane Bryan of the home, three brothers: Harvey "Buddy" Tatum and wife Ann of Broadway; Vernon Norris and wife Darlene of Elizabethtown; and Thomas Norris of Florida; and three sisters: Hazel Hammond and husband Dallas of Elizabethtown; Elizabeth McMahon and husband John of White Lake; and Janice Yarbrough of Georgia. A graveside service will be held on Tuesday, November 20, 2018 at Guyton Cemetery at 11:00 am with Rev. David Pait officiating. Add your thoughts, prayers or a condolence to Bonnie Mae's guestbook.